What would you do with an extra $1,000? Go on vacation? Pay off some debt? Breathe a little easier at the end of the month? No matter how much money is currently in your bank account, I doubt anyone would refuse an extra $1,000. 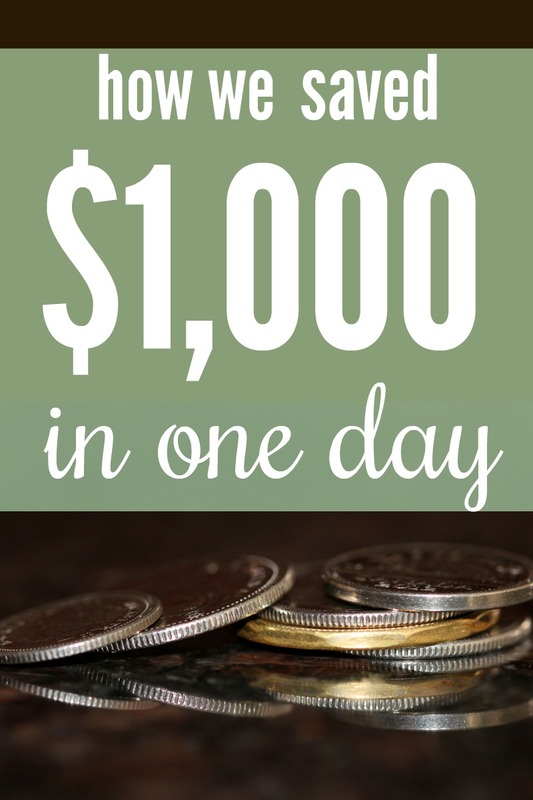 We recently did two simple things that will result in $1,000 savings over the next twelve months! With the new cell phone plan and new insurance carrier, we aren’t giving up anything! We’ll have the same data/minutes/texting allowance as well as the same insurance coverage as before, just for a lot less money! When was the last time you saw a commercial advertising a great deal on one of those things and thought, “Yeah right, we have to pay a lot more than that!”? You might, but it never hurts to check! I think sometimes we just accept that life is expensive and pay whatever we’re told we have to pay for things. Pick one bill that you pay every month, whether it’s one of our two examples or something else like your internet provider, and see how much of a price reduction you can get. That might mean calling to take advantage of a promotion or switching to a new company! Unfortunately, we can’t always reduce our bills every month and end up with these kind of results. There are other things you can do, however, to put money back in your wallet. I have a new video over on my YouTube channel where I talked a little bit more about our $1,000 savings and also shared two simple things I do that regularly help me to save money. Click here to watch that video! What would you do with an extra $1,000? I’m curious! Woah – that’s an awesome deal on cell service! That is awesome!! What a great reminder. I usually put my husband in charge of the actual negotiating phone calls so I don’t have to mess with it. You’ve got me thinking about our monthly bills and making some lists to see if we can find a better deal or cut bills down at all. Same here – Paul is so much better at negotiating than I am! My husband is so good at this. He will often shop around and play “Let’s make a deal”. Just a couple of phone calls is all it takes to save us some bank. That is FANTASTIC! Russ and I keep pretty cheap cell phone plans and it saves a bundle. I can’t even fathom paying hundreds a month for that. We do still pay a LOT for our phones, but we use them so much that it has to be that way.